What's The Weirdest Energy Source For Powering A Car? Toyota says they want to all but eliminate gasoline-powered cars by the year 2050. They see electrification, brought about by hydrogen fuel cells in particular, as the way forward. Are gasoline’s days really numbered? Down the road, it eventually might be. That will sadden fans of internal combustion like us, but I think we can also be somewhat optimistic about fuels of the future. Before we can do that, let’s look to the interesting power sources (and ideas for power sources) of the past. That’s our question of the day: What’s the weirdest energy source for powering a car? 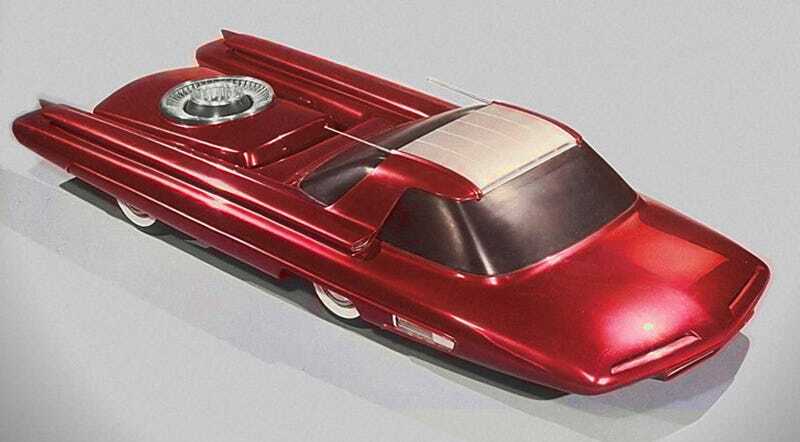 Take the 1958 Ford Nucleon, for example. It ran on atoms! Clean, pure, God-fearing atoms, to help us defeat the Communist scourge. Actually, it didn’t, although the sentiment was certainly there. The Nucleon was merely a full-scale model, an idea of what a nuclear-powered car could be like if we got a reactor small enough. Needless to say, the idea never caught on. I’ll chalk that up as a win for everyone, to be perfectly honest. What other crazy idea, put into practice or just a concept, sought to be alternative to gasoline?